African masks, sculptures, dolls, etc. Please follow the links below to view the item and for an information on selected item. Please note that our stock is limited. If the selected item is out of stock we will gladly send you comprehensive information on similar item or substitution. Please note: Precise identification of many objects of African origin is very difficult on stylistic grounds alone, as objects types and cultural practices are often shared by neighbouring groups. Shipping and insurance costs are not included in the published prices. 1. Bronze sculpture of sable antelope. 2. Bronze sculpture of Himba girl. 3. Bronze sculpture of Bushman hunter. 4. Bronze sculpture of lion. 5. Ivory Coast figures (Baule). 6. Ivory Coast mask (Guru). 7. Ivory Coast mask (Guru). 8. Figure from Congo-Zaire (Luba). 9. Hippo figure (South Africa). 10. Mask from Ghana (Ashanty-Fante). 11. 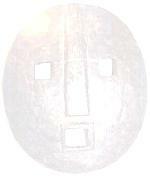 Mask from Sudan (Mou Mbu). 12. Mask from Gabon (Fang). 13. Helmet mask from Congo-Zaire (Tabwa). 14. Figures from Congo-Zaire (Luba). 15. Figure from Congo-Zaire (Tabwa). 16. Mask from Congo-Zaire (Pende). 17. Figure from Congo-Zaire (Bembe). 18. Ivory Coast mask (Baule-Yaure). 19. Bronze figures from Benin (Ife). 20. Mask from Congo-Zaire (Yaka).